East Riding Youth Dance offers exciting dance opportunities for young people aged 9 to 18 years. Working with professional dance artists you will get the chance to create a performance piece to showcase alongside other groups at a local dance platform. 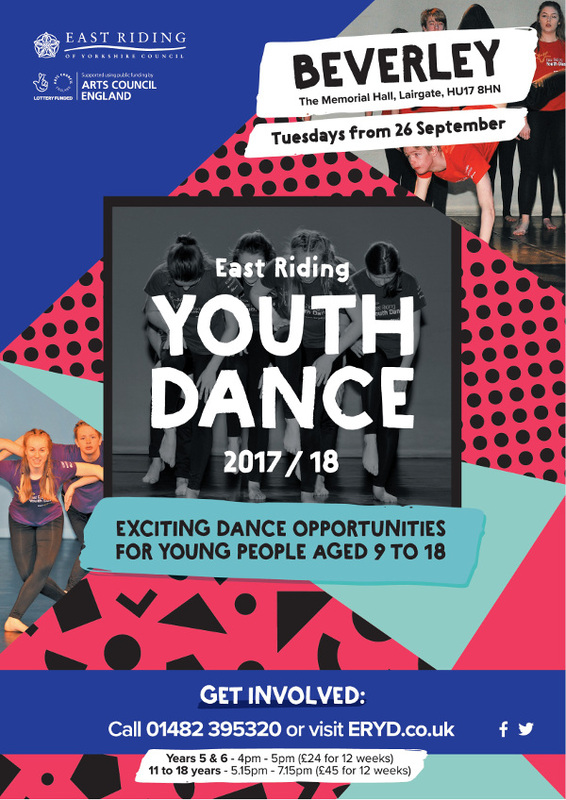 East Riding Youth Dance is an extremely exciting 12 week community dance programme within the East Riding of Yorkshire for young people Y5 and upwards. In weekly sessions professional dance artists will work closely with participants, and provide a platform for those with little or no previous background in dance to have a fun, energetic and inspirational experience.